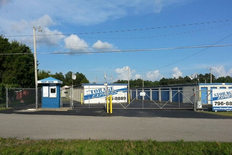 From our affordable self-storage units to our fantastic customer service, you’ll find everything you want in a self-storage facility at Storage Express! 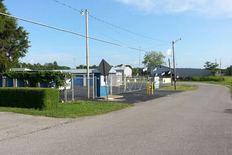 Our facility is located at 123 Joe Ave near McDonald’s Sonic Drive-in, Autozone, Save-A-Lot, and Factory Connection. You’re sure to find the features you need for successful storage experience at Storage Express, so come visit us and we’d be happy to help you get started right away! 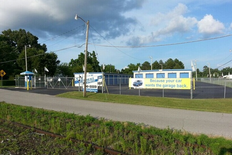 We have a rental station on site that’s open 24 hours so you can set up your account around your schedule! 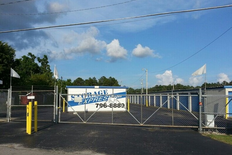 When you rent from us, you’ll have 24-hour access to your storage unit and belongings. Plus, we have bright exterior lighting so moving in and out at any time is easy! We’ll never make you pay any deposit or administrative fees and we send out complimentary e-statements to all our customers so you’ll stay up-to-date on your account. Give us a call or rent online today if you live or work in Hohenwald, Springer Ridge, Shubert, Sweetwater, Kitchens, Mclean, Palestine, and neighboring communities! Clean and safe. Just wish the price wasnt so high. But supply and demand sets the price. Thanks for allowing us the opportunity to help you, Daniel. 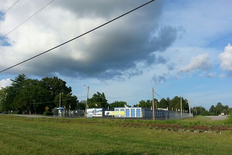 We strive to exceed expectations by providing the best customer service and storage solutions. Great for your storage needs. Helpful customer service. Great first month deal!